I know exactly what Mr. Laffler means. Some dishes just do that to people. 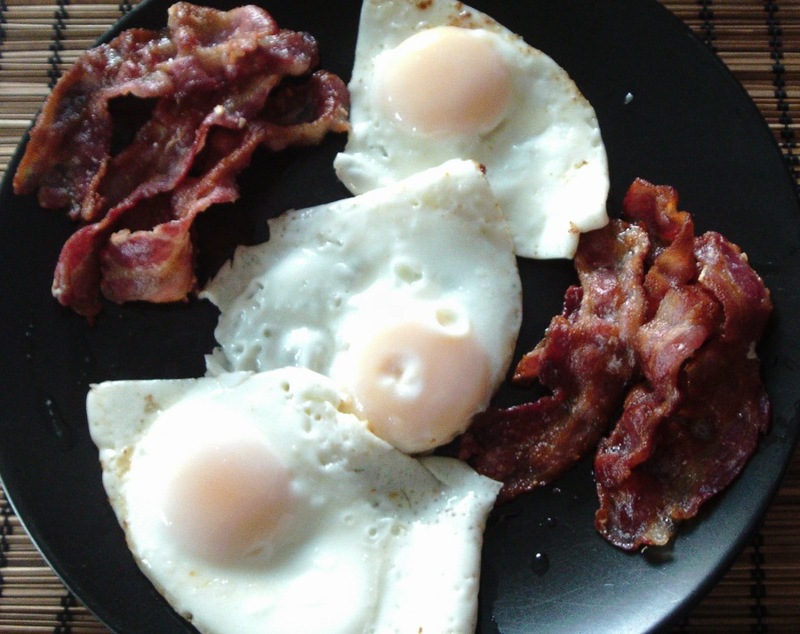 This entry was posted in Food Diary, Recipes and tagged avocado, eggs, paleo, pancetta, recipe, salad, spinach on December 20, 2014 by paleovirtus. …is a superb way to start the day. Good Cornish ham from the St. Ives Food Company was just what the Shaman ordered, and needed nothing more than a poached egg, black pepper, and a splat of my own tomato sauce on the side (recipe to follow). Breakfast without tea is utterly barbaric, and seeing as due to unforeseen circumstances (the bladdy shop forgot to order any) we are temporarily out of almond milk, I fell back on my stash of green tea bags – not ideal but needs must and all that. As is my habit my early morning face-stuffing was made complete with half a yellow melon, a good handful of blueberries, and a banana, which due to the on-going almond milk situation was sliced rather than mashed. Time for the digestion process to work its magic before my early morning promenade around town to pick up fruit supplies for the day. This entry was posted in Food Diary and tagged banana, blueberries, breakfast, eggs, fruit, ham, melon, tomato sauce on July 11, 2014 by paleovirtus.